Samsung has finally launched its long-awaited flagship smartphone, the Galaxy S9 and S9+ in Malaysia on 15th of March. 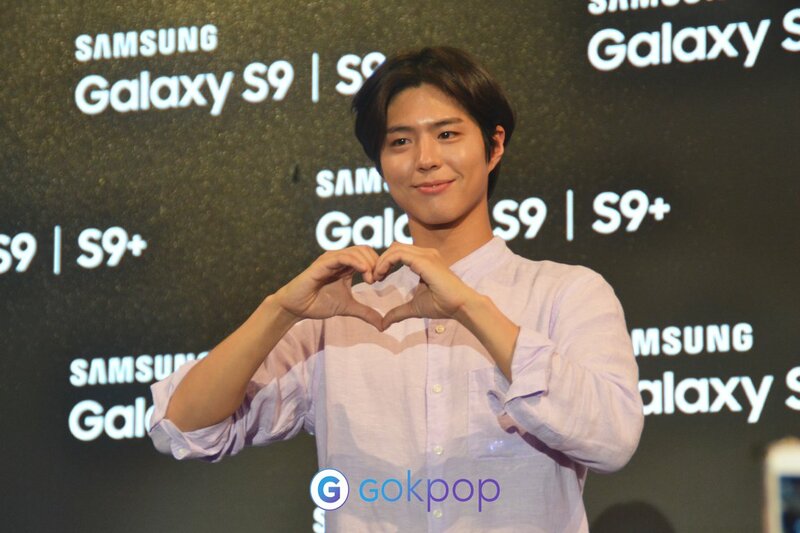 To celebrate its debut, Samsung Electronics Malaysia invited special guest, actor Park Bo Gum for the event and attracted thousands of fans. The well-mannered actor first came up to the stage with a polite 90 degrees bow after an introduction from the host. 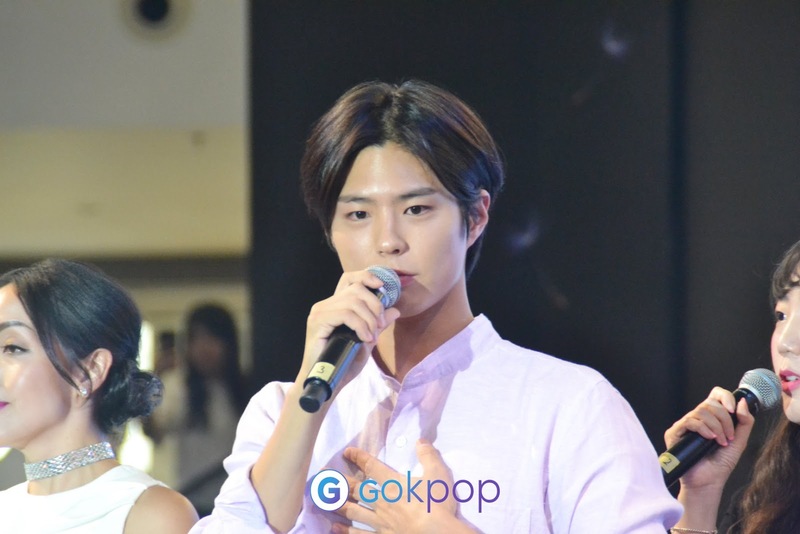 Wearing his new hairstyle, he greeted his local fans in Malay and English language, ‘Saya Park Bo Gum. Saya rindu pada mu. I miss you so much’, capturing the hearts of all the fans. Dressed in purple shirt and a pair of white chinos, the ever-cheerful actor constantly smiled and waved at fans in all directions. The enthusiastic fans welcome the actor with loud cheers and a banner congratulating his recent graduation. Showing off his Malay language, the actor confessed his love to his fans saying ‘Aku cinta pada mu’ melting all the fans’ heart. The launch then continued with the Q&A session. When asked to choose between durian and strawberry, Park Bo Gum chose to eat durian first and followed by strawberry. Surprised to all his fans, the actor admitted he has tried durian during his stay here in KL. Following that, the emcee continued with the second question asking the actor when is the best time to use the superslow-motion feature of the Samsung Galaxy S9. The actor mischievously answered, ‘It’s been so long since I last met Malaysian fans and I would like to capture this precious moment with my fans in superslow-motion’. The fans cheered in replied. 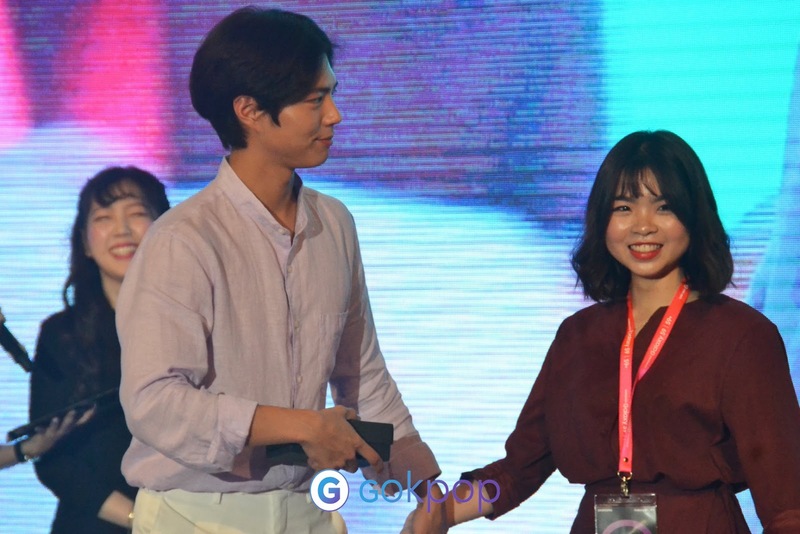 Park Bogum: I would like to make this moment of meeting Malaysian fans slow motion because it’s been so long since we last met! Subsequently, it was followed by an interactive session with the fans. 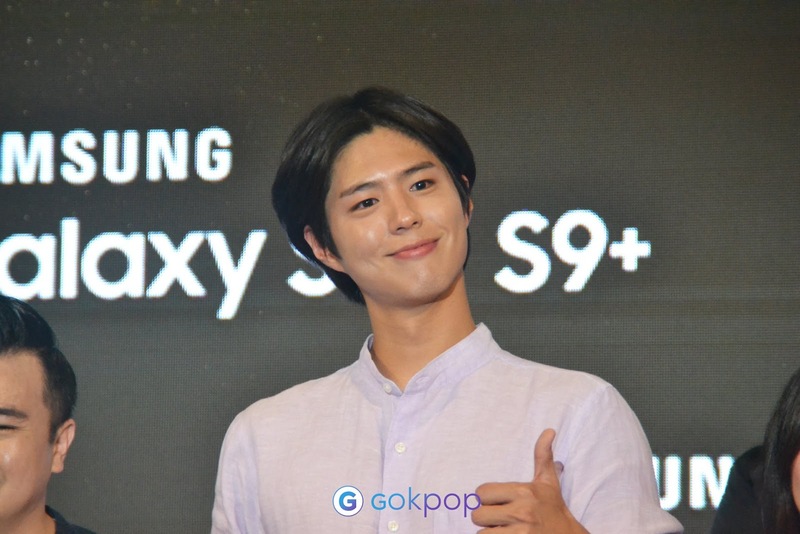 Three lucky fans among those who have bought the all new Samsung Galaxy S9 were chosen from a lucky draw to experience the superslow-motion feature with Park Bo Gum on stage. The actor didn’t disappoint the fans. He took selfies with them and even offered polite hugs. The fans that were not on stage were all looking with envy. Park Bo Gum later posed for the photography session. The 25-year-old actor struck off with bubbly signs of sending hearts to the fans, putting his thumbs up and peace. Before ending the launch, he thanked all his fans for their presence and promised to come up with a good drama this year. The launch ended with another photography session when Park Bo Gum walked to the end of the stage waving good-bye. The all new Samsung Galaxy S9 smartphone was built on the slogan ‘The Camera, Reimagined’ features state of the art dual aperture back camera for low light shots, AR emoji and superslow-motion video. It is available nationwide starting from 16th of March with retail price of RM 3,299 onwards. For more information, please visit www.samsung.com/my/offer/s9-roadshow/ and www.samsung.com/my/offer/s9-promo/. Check out GOkpop Malaysia Facebook Page for more photos of Park Bo Gum.